Is anyone else ready for Spring yet? I actually don't mind Winter. However, here in Idaho Winter comes early, hits hard, and lingers. So about the middle of February I start longing for Spring. In fact, in these here parts of the woods if we have a day in the low 40's we leave our coats at home and some even brave a pair of shorts (mostly adolescent boys). 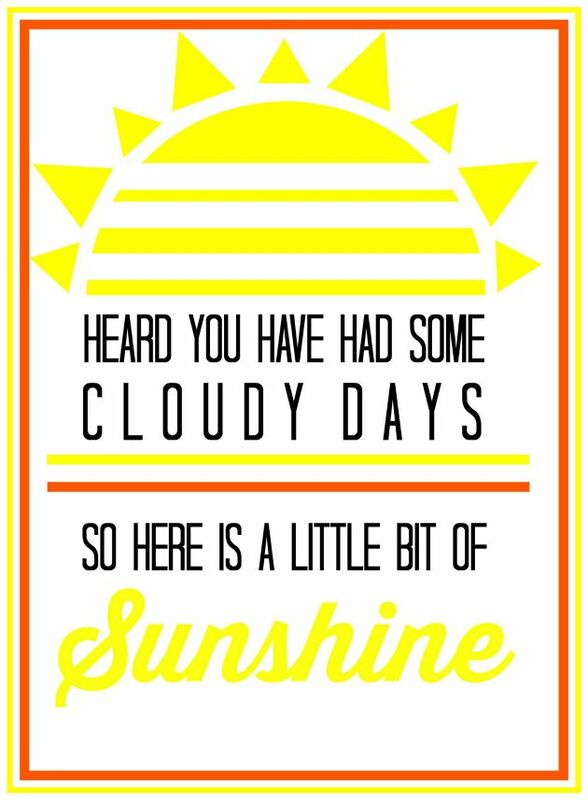 So yes, I am ready for some sunshine and Spring. 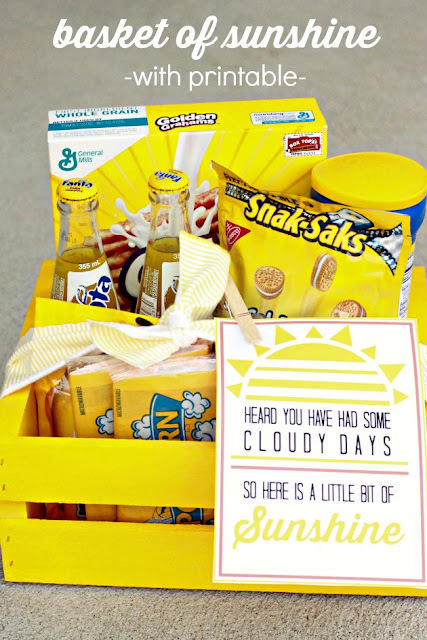 Speaking of sunshine, today I have this fun and easy Basket of Sunshine idea for you and there is a free printable. We used this basket of sunshine as an act of service. We had a person in our neighborhood who was going through a tough trial. We wanted to let him know we were thinking of him. So we went to the store and gathered up a cartload of yellow things. 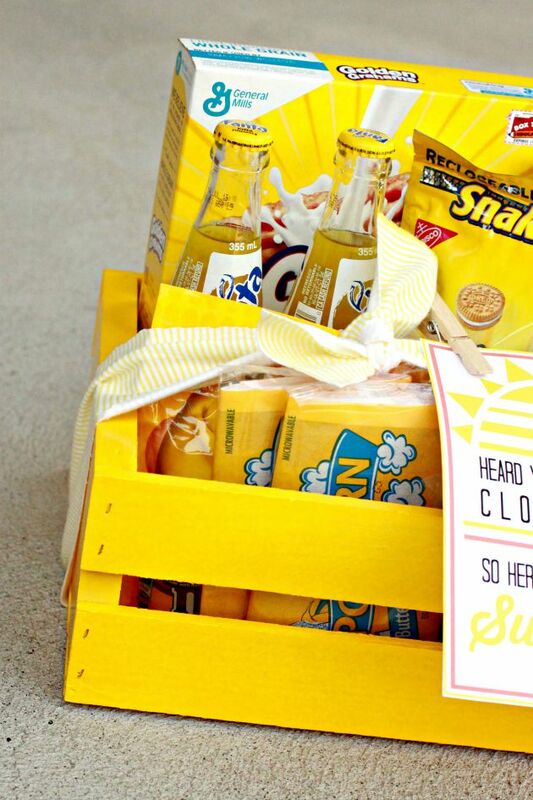 I spray-painted an old crate we had bright and sunny yellow. 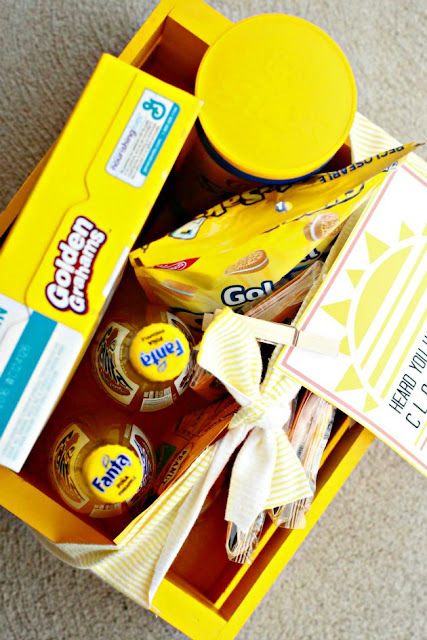 Once it was good and dry, we loaded up the crate with our sunshine goodies. I tied a bit of fabric around it and attached the Sunshine tag. Save the image of the tag to your computer and then you can print it off in the size you need. 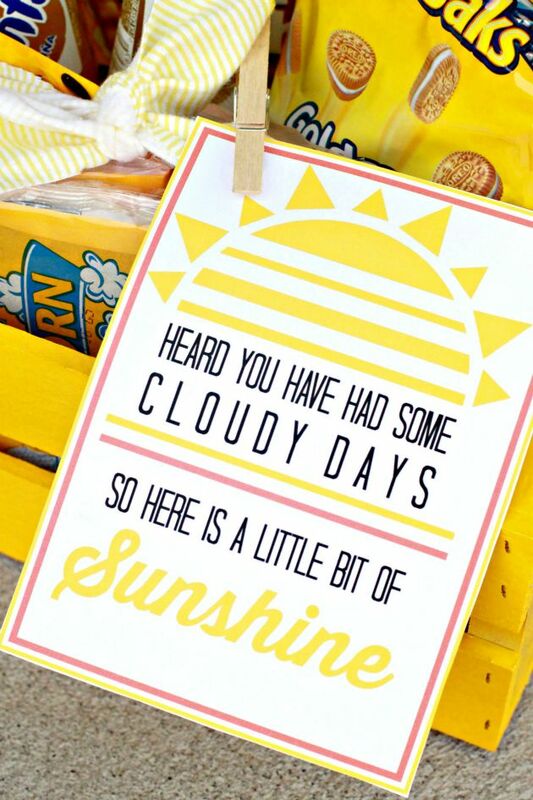 This really is a fun way to brighten someone's day and to get out there and offer a bit of service. My kids really became invested in this little service project. I love service like that. Plus you guys know how much I love myself some color coordination. I'm not kidding, but we just sent a box of yellow goodies to someone who needed some cheering up earlier this month. Great minds! Of course I wish I had your cute tag to send with it now. Next time!